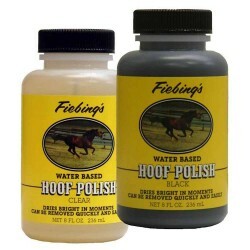 A water based, non-toxic hoof polish for that super show shine. Safe for both horse and rider. 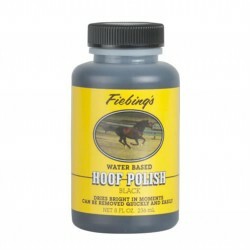 Wears off naturally, no harsh chemicals needed for removal. Packaged with a dauber cap for easy application. Apply to hoof with applicator. Polish can be removed with soap and hot water.